Identify the benefits of proactive planning for the future. The 2015-2040 Regional Transportation Plan (RTP) directly benefits communities because it improves air quality, supports a vibrant economy, and ultimately enhances our overall quality of life. With Utah’s population increase dramatically by 2050, responsible planning for the future of our transportation system is essential to ensure Utahns continue to enjoy an enviable quality of life. The RTP identifies the balanced investments in road, transit, and bike infrastructure that are needed across the state to stay ahead of the growth that is coming, while simultaneously responding to demographic shifts and market demand for a range of housing and transportation choices. Implementing the Plan will increase access to jobs and educational opportunities, decrease harmful emissions, and provide for maintenance of the infrastructure that we already have in place. For additional information regarding the RTP, please contact Jory Johner. There’s no getting around the fact that we all have to breathe. 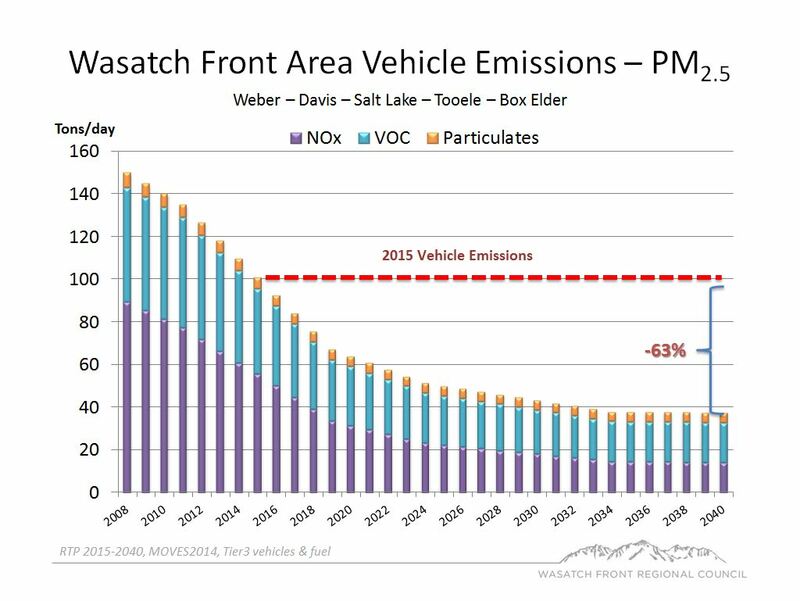 Several times during the winter inversion, Utah’s air quality is less than perfect. Emissions from the cars we drive account for nearly half of the pollutants in our air. A well-functioning transportation system, along with technological advances in cleaner fuel and vehicles, will significantly improve our air quality. The 2015-2040 RTP helps to improve air quality because it provides for an integrated transportation system that incorporates all modes of travel. This includes not only roads and highways, but also public transit, trails, bike lanes, and other facilities. Providing choices for how people get around means fewer vehicles on the road. This translates into huge benefits. For example, transit riders along the Wasatch Front currently take 120,000 car tips off the roads each day, saving 850,000 vehicles miles traveled on the roads and 2,000 tons of emissions out of the air. 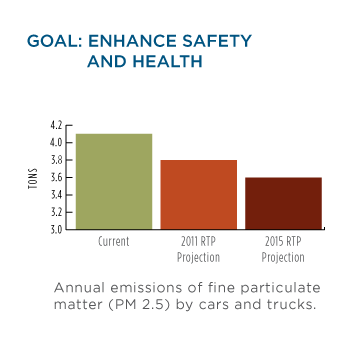 Simply put, by providing Utahns alternatives to driving, we’re gaining ground on air quality. The RTP projects that between 2008 and 2019 mobile source emissions will decline by 63%. A well-functioning transportation system is the backbone of our economy. The 2015-2040 RTP supports a robust economy by facilitating the efficient movement of goods and services throughout the Wasatch Front. The RTP also accounts for the relationship between land use and transportation to help local communities develop in a way that fosters economic growth. This allows the private sector to flourish while reducing the public resources necessary to accommodate that growth. These prudent investments in planning now ensure fiscally sustainable growth in the future and save billions of dollars in future costs due to fewer roads and utility infrastructure. It also utilizes land use in a way that generates the best outcomes for the community as a whole. 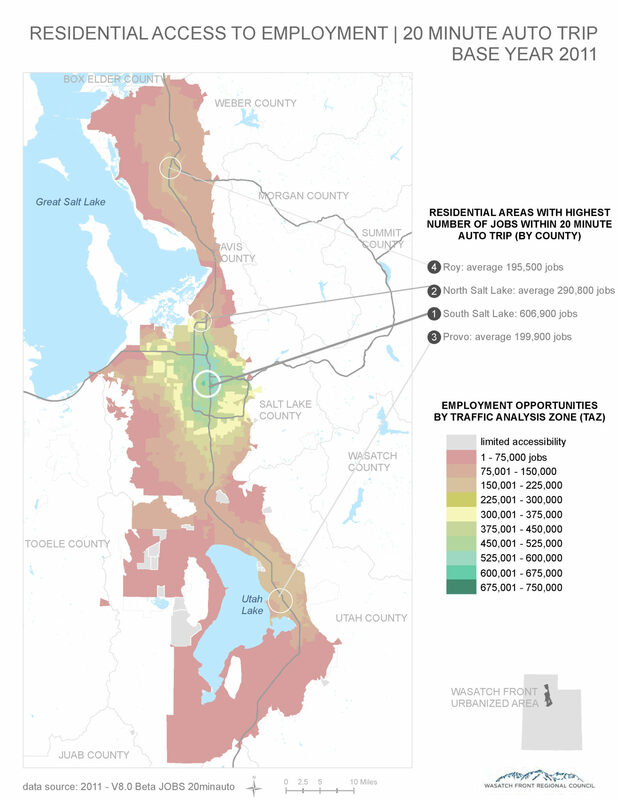 An economic analysis commissioned by the Salt Lake Chamber found that investing in the projects identified in Utah’s long-range transportation plans would double the return on investment. The plan saves taxpayers tens of billions of dollars by reducing time spent in traffic due to congestion, lowering vehicle operating costs due to better maintained roads, improving safety, and increasing employee productivity. Constructing the projects in the plan will improve how quickly and easily people can get around. The plan reduces commute times so people spend less time stuck in traffic and more time with their families. It also increases access to jobs and other opportunities. Transit projects and service improvements are a major component of the RTP and help to generate economic investment. For example, there has already been approximately $7 billion in economic investment along UTA’s rail lines since they were built and major businesses such as Overstock and eBay have indicated that access to transit was a key factor in deciding where to locate their businesses. 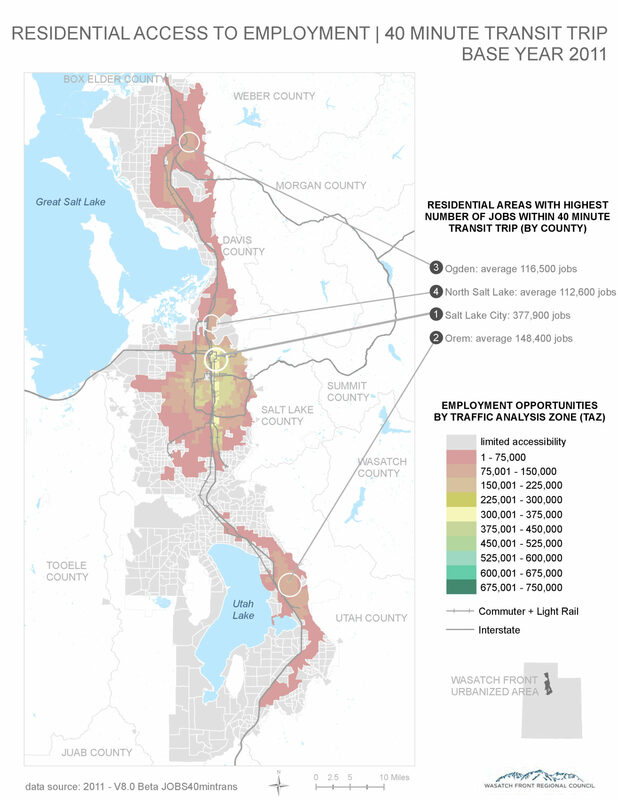 Click on the following maps to show how the 2015-2040 RTP improves access to jobs across the Wasatch Front. 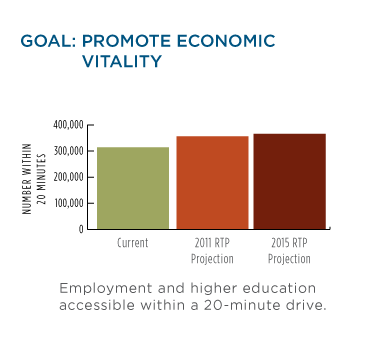 The 2015-2040 RTP preserves and enhances our state and local road and transit systems. Long-term transportation planning plays a direct role in how our communities develop. Responsible and proactive planning provides a quality transportation system that offers personal benefits to every Utahn. A well-functioning and reliable system means people spend less time traveling around each day. It means more time with their families, more free time, and more time to pursue a balanced life. Transportation planning affects how and where we build homes, businesses, and other facilities. It affects how we get from one place to another. It affects where we recreate. If development decisions are isolated from transportation planning, a local decision can make an entire regional transportation system function less effectively. The more effectively we plan for the future and work to implement the RTP, the more positive our quality of life. Planning for the future allows communities to identify their priorities and values and shape their development to match. Quality of life issues such as air quality, open space, water quality and availability, and others are affected – either positively or negatively – by the quality of our planning efforts. Header photo courtesy of the Utah Department of Transportation.